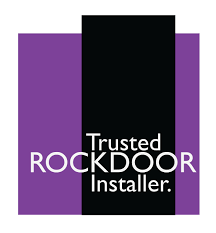 One of the main reasons homeowners like to choose Rockdoor Composite Stable Doors is because they allow you to open the top part of the door for ventilation, whilst keeping your children and pets safe and secure inside. 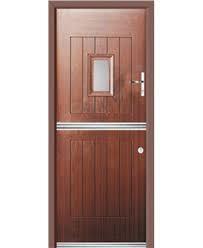 When you need the benefits of a window and the security of a composite door, choose one of our Composite Stable Doors. Built to the same high performance specifications as our range of Rockdoor composite doors, you’ll benefit from the same security, durability and low upkeep when you choose from our range of Stable Doors. By providing the functionality and benefits of a traditional Stable Door with the advanced technology of modern uPVC, our Composite Stable Doors are perfect for your home. Whether you live in a traditional country cottage or a modern townhouse, convenience and security is key. 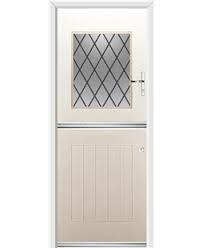 Our doors simply cannot be beaten in terms of style, security or energy efficiency. Offering all of the features you would expect from a Stable Door our doors are now available with three designs.” Spy View”, “View Light” and “Diamond”. There are also 12 colours to choose from including Light Oak, Black, Chartwell Green and Dark Grey. 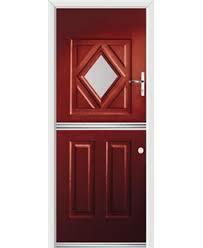 As with all our composite doors, if you want a different colour on the inside that’s no problem! Our Composite Stable Doors are fitted with advanced hinges that are horizontally and vertically adjustable, so that your door opens and closes perfectly, every time. The custom center door seam has been designed to make your new Stable Door extremely thermally efficient, so that you don’t have to compromise. Quite simply our doors look fantastic, are strong, practical and can save you money on your heating bills… what more could you want from a door? 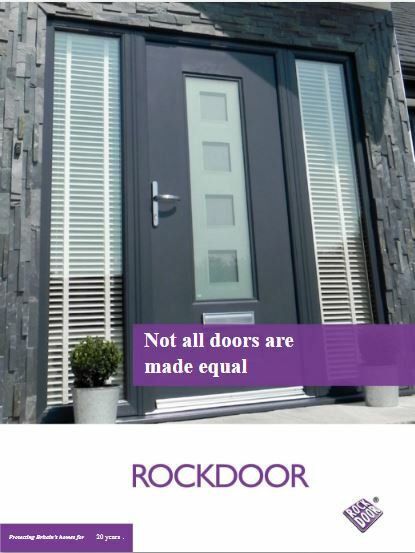 Unlike many competitors, Rockdoor Composite Stable Doors will not be affected by moisture, thanks to a unique to weather seal that keeps the outside out! 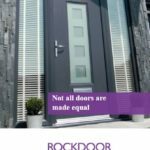 A Rockdoor Stable Door is quite simply the best of the Composite Stable Doors on the market, greatly admired in the trade for offering all the performance benefits of a Rockdoor that you would expect, together with the functionality that only a Stable Door can provide. Thank you for doing such a great job with my new composite front door. Excellent service. Excellent price. Excellent door. I will actively refer you to my friends and neighbours. … with a Composite Stable Door!